Hurricane Earl seem that it wont be calming down so soon and it path is moving straight to the US coast of North Carolina. The storm system will be hitting the outer banks of North Carolina, which is a chain of near by islands. Earl has sustained and is a Category 4 hurricane, which is churning at wind speeds of 230 kmph. 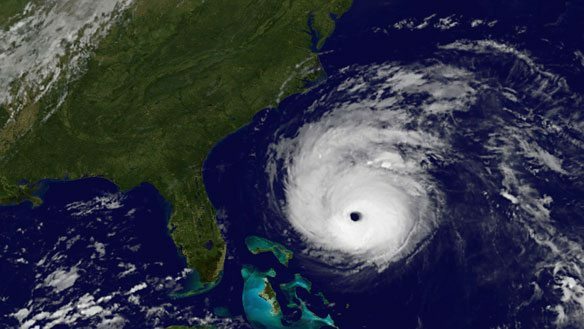 As per the forecasters report, Earl will be passing the islands of the Outer Banks on the night of Thursday and will reach New England on Friday. There is news that after the Thursday night, Earl will start to weaken, but the authorities have asked the residents near the coast to gear up and tackle Earl. Governors of North Carolina, Virginia and Maryland have signed orders and have declared a state of emergency. People from the Ocracoke Islands have been evacuated as the Island can easily be coming in the grip of Earl. We have to wait for the Thursday night to pass and see the development of Earl.